The Cleaning Ladies provide a professional residential AND commercial cleaning services throughout Reading and the surrounding villages. 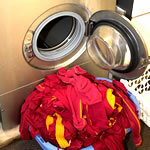 Our team is highly experienced and expertly trained in providing laundry, ironing and dry cleaning services. 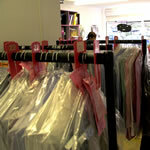 This enables us to process small to large orders both very speedily and to an extremely high standard. 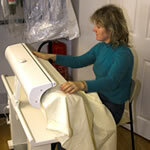 We also provide a repairs & alterations service! If you're looking for a professional, reliable and flexible residential and commercial cleaning company in the Reading area, The Cleaning Ladies offer the services you need to keep your home or business fresh and bright. Visit the Cleaning ladies Ltd.